Without any forethought what-so-ever, I impulsively joined my high school’s cross country team. On day one we ran 3 miles, on pavement. We did the Stevens Loop. At a mile and a half I thought I was dying. I had side cramps, shin splints, my feet ached, I was dehydrated and dizzy. Wondering when this torture would end, I remember looking ahead and seeing a handful of girls not too far away. Behind me were two girls. I wasn’t last! I needed better shoes if I was going to keep this up. 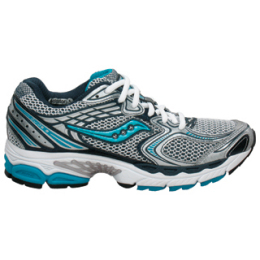 My first pair were blue and silver Sauconys which cost $60 and made them the most expensive thing I had ever owned. I picked them out at the Village Sport Shop and they were like gold to me, becoming my most prized possession. I kept those shoes for 5 years afterward, unable to let them go. After having knee and ankle problems I went through physical therapy and had custom orthodics made which helped tremendously. Then I sprained an ankle on a rock while running on the dirt road about a mile from home. Running hurt me sometimes but most of the time it felt really, really good and this I could live with. A month later I was age 14 and placed 19th in the State meet which meant I qualified for New Englands in Hartford, Connecticut. I remember the drive there with Paul Simon blasting on the radio in the van and my first look at big city lights as we rolled up to our hotel sometime before midnight. The morning we raced frost covered every blade of grass and as the sun rose in the sky, it warmed my hands and feet. That day I ran for me. I ran happy with what I had achieved in such a short amount of time, not caring at all that I placed somewhere in the middle. Running has been a hard thing for me to stick with. After the first year I quit the team. I was proud of what I had done that year in cross country and in track but other things distracted me from it. The funny thing is that over the past 20 years I have kept going back to running. My pattern has been to start up in the winter months when I need to pull myself out of the seasonal depression that comes with cold weather and days with limited daylight. Running lifts my spirits, challenges me in positive ways, and makes me feel alive. I began running consistently in December of 2010 and things were going well until about 5 weeks ago. My hip and lower vertebrae were out of alignment and causing me so much pain I could hardly walk. I was told a month of no physical activity and visited my chiropractor twice a week. While I resented weeks of no physical activity, I took my injury seriously, fearing that I might cause permanent damage which would not allow me to run or hike or climb again. 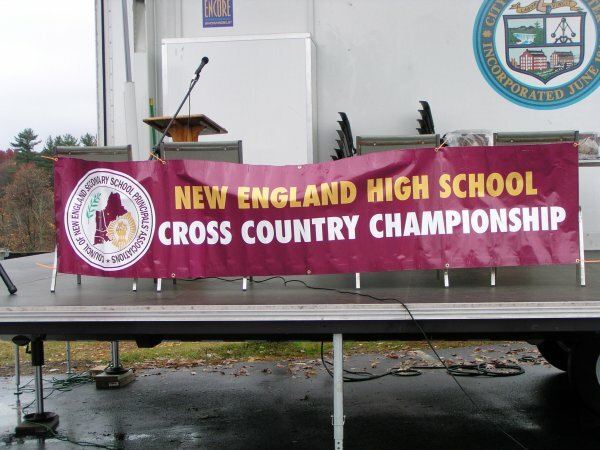 Almost exactly 20 years ago I competed in my last cross country race, the New England Cross Country Championship meet in Hartford, CT. 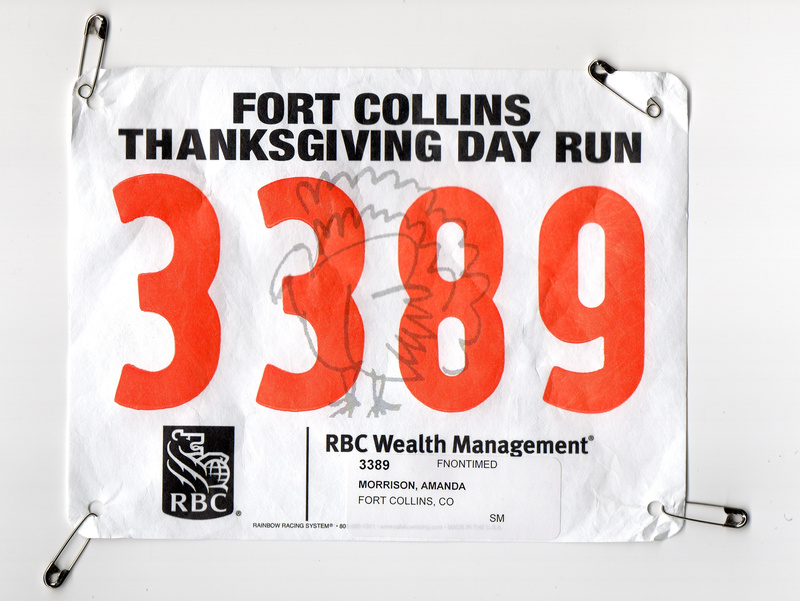 This month I ran my first race since then, the Thanksgiving Day Run in Fort Collins, CO. As I stood waiting at the starting line in the cold amongst so many runners wearing numbered bibs, I was transported back to that icy New England morning where I waited for the race to begin. I was that 14 year old girl again, with hopes and dreams, full of optimism and energy, chomping at the bit to let loose and see what I was capable of. As I ran I watched the other runners, admiring their resilience, perseverance, and determination. It dawned on me that I am one of them and I was overwhelmed by the feeling that I too am a part of something great. A woman of 34 years, I crossed the 4-mile finish line in a time much better than I had anticipated, with a huge smile on my face. During this race, a part of me that I had not been acknowledging for years, but that I had loved so much and was hiding out deep inside, came back to the surface. As a result I am one step closer to reaching my understanding of who I truly am, which to me is the ultimate finish line.